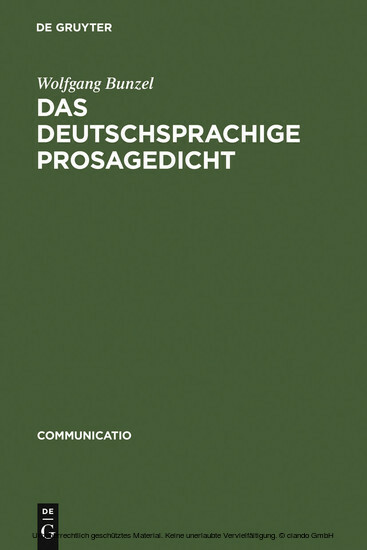 The study examines the entire spectrum of forms taken by the prose poem in Germany between 1880 and 1920, presenting the first comprehensive history of this genre in the European literary context from a perspective angled toward cultural studies and media history. It also engages with the influence of French genre patterns and traces the corresponding intercultural exchange processes between the national literatures of Europe. In its consistent endeavour to regard genre history in conjunction with the history of communication it proposes a theory of the prose poem in the context of literary modernity.